OE QUALITY. GENERIC IMAGE MAY HAVE BEEN USED, UNLESS OTHERWISE STATED. ACTUAL ITEM MAY DIFFER IN APPEARANCE, SIZE, AND SHAPE. IV, HS, KA27-28, KW, PA20-49, PA60-78, PH17-26, PH30-44, ZE, BT, IM, TR21-25, AB, GY, JE, CHANNEL ISLANDS. Kit reparación panel puerta (repair kit Door panel) VW T5 T6 - YouTube[isdntekvideo]. El panel de la puerta NO se proporciona. Door panel is NOT provided. Asegúrese de que usted ha leído toda la lista y preste atención a la nota y noticia. Y el fabricante no arreglará la recogida del producto. Se basa en la opinión de los fabricantes, tendremos oportunidades y facilidades razonables a investigar cualquier reclamación que se hecho bajo la garantía. To be used with asingle rear wheel VW Volkswagen CRAFTER model 2006-2019. Paper guide instruction is also included. Loading capacity max 4000kg. 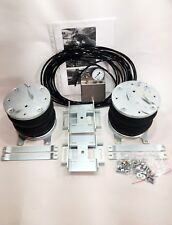 Air Suspension KIT for your VAN with heavy Duty 12V Compressor and 2 years written warranty. To be used with asingle rear wheel Renault Master 2010-2018 front wheel drive. Paper guide instruction is also included. Loading capacity max 4000kg. 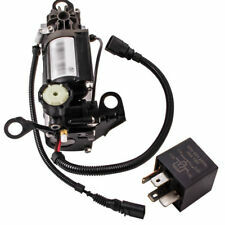 Air Suspension KIT for your VAN with heavy Duty 12V Compressor and 2 years written warranty. Paper guide instruction is also included. Loading capacity max 4000kg. 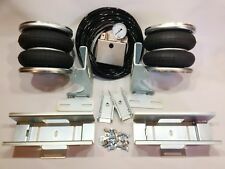 Air Suspension KIT for your VAN with heavy Duty 12V Compressor and 2 years written warranty. Loading 4000 kg. The kit includes. Einbau erfolgt plug in play. NEU Original Audi Luftfederung Niveau Sensor für Vorderachse links OVP. NEUE Original Audi Teile in OVP. Si no se reemplazan a tiempo, causará un fallo en el compresor de suspensión neumática. Esta es una pieza nueva de recambio fabricada a especificaciones de OEM (Equipo Original del Fabricante). Cada componente es NUEVO y NO Remanufacturado. Référence OEM Citroën: 5102GN - 5102. GN - 5102R8 - 5102. Amortisseur arrière, boudin, suspension pneumatique pour essieu arrière. Ressort pneumatique arrière pour Citroën C4 Picasso ou C4 Grand Picasso. 220 320 5113, 2203202438, 220320243860 . 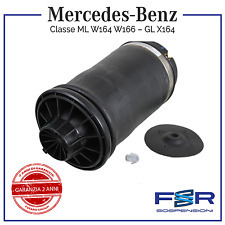 (This Air Spring Bag Strut will work on S-Class Vehilces With Airmatic Suspension Only, It Will NOT fit on Vehicles Equipped with 4Matic or ABC Suspension Models). 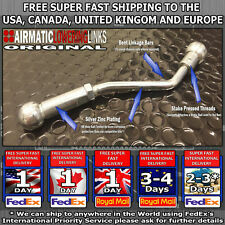 Air Suspension KIT for your VAN with heavy Duty 12V Compressor and 2 years written warranty. Paper guide instruction is also included. Loading capacity max 4000kg. The kit includes Very High quality heavy duty rubber air bags. To be used with arear wheel Fiat Ducato 1994-2018. Paper guide instruction is also included. Loading capacity max 4000kg. 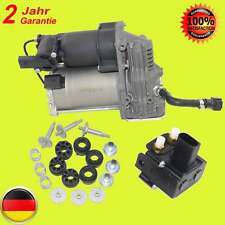 Air Suspension KIT for your VAN with heavy Duty 12V Compressor and 2 years written warranty. Platform : W211. They will replace the original rear air springs. Quantity : 1 piece (for rear left ). -Mates with OE Air Lines. -Designed for Comfort Suspension. This item is 3 pins for OEM No. ¿Si esto es apto para mi coche?. Référence OEM Citroën: 5102GN - 5102. GN - 5102R8 - 5102. 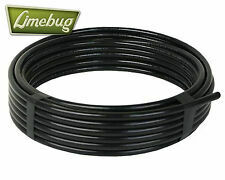 Ressort pneumatique arrière pour Citroën C4 Picasso ou C4 Grand Picasso. Citroën C4 Picasso & Grand C4 Picasso. C4 PICASSO & GRAND C4 PICASSO (de 2006 à 2014). Our specially designed adjustable lowering linkages replace the standard linkages and by either lengthening or shortening the adjustable linkages you can alter the information regarding the level of the surface that is being sent by the ride height sensor to the cars suspension computer. Räder & Felgen. Antrieb, Motor & Getriebe. Fahrwerk / Querlenker etc. Lichter & Leuchten. Sie erwerben hier 2x Arnott Luftfedern für die Hinterachse. FahrwerkQuerlenker, Stabilisatoren und Koppelstangen, Spurstangen sowie Trag- und Führungsgelenke. (Paddle valve switch with 1/4″ barb fittings. 4) All products sold are GENUINE UK products bought direct from manufacturers. All GL-Class X164 2006-2012 Models(including 4matic). All M-Class W164 2005-2016 Models(including 4matic). Asegúrese de que usted ha leído toda la lista y preste atención a la nota y noticia. Y el fabricante no arreglará la recogida del producto. 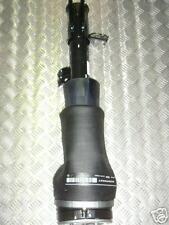 Land Rover Sport Suspension de aire LR016411 Abajo a la derecha & Izquierda. OE: LR016411, RKB500010, RKB500140, RKB500250. Esto product Encaja: Land-Rover Sport / L320 (2005 - 2013). Land Rover. Suspension trasera. Quantity : 1X compressor with relay. They will replace the original air shock. Warranty : 2 year warranty for any manufacture defect. Los detalles completos de la garantía son los siguientes Por qué elegirnos. Reemplaza las referencias de OE: 4E0616039AF, 4E0616039AH, 4E0616039T. Tipo / chasis: 4E, D3. Audi A8 Muelle neumatico delantero izquierdo Suspension de aire (Lado izquierdo). Suspension delantera. 6.0 W12 quattro 5998 ccm, 450HP 331KW (Petrol). Range Rover Sport Suspension de aire, Reemplaza OE: RNB501580, RNB501620, RNB501600, RNB501250, RNB501460, RNB501470 RNB000855, RNB000856, RNB000857, RNB000858, RNB501180, RNB501250. Range Rover Sport Suspension de aire. Precio devolviendo la pieza gastada a sustituir. ARNOTT: AS2450. (El Nuevo A-2596 de Arnott para la parte trasera de la Clase M (ML) con AIRMATIC (derecha o izquierda) y GL ,cuenta con un multi-capa Continental ContiTech vejiga. ML 63 AMG). • Continental ContiTech Resorte de aire de la vejiga. All M-Class W164 2005-2016 Models(including 4matic). Asegúrese de que usted ha leído toda la lista y preste atención a la nota y noticia. Será más rápido el proceso si usted puede ofrecernos algunas fotos o videos para ilustrar los detalles del problema. ARNOTT: A-2575, A2575. Referencias Equivalentes. Asegúrese de que usted ha leído toda la lista y preste atención a la nota y noticia. Compatability Chart is para the reference only. Quantity: 1 pair with 2 pieces para rear left and right side. - Warranty: 2 years warranty para any manufacture defect. Porsche Muelle neumatico delantero izquierdo 95535840300, 95535840310, 95535840320, 95535840321, 95535840330, 95535840331. Reemplaza las referencias OE: 95535840300, 95535840310, 95535840320, 95535840321, 95535840330, 95535840331. Reemplaza las referencias OE: A2213201438, A2213205613, A2213205813. Car Air Springs. S 65 AMG (5980cc) 463kW; 630 bhp. S 63 AMG (5461cc) 400kW; 544 bhp. S 600 (5513cc) 380kW; 517 bhp. S 500 (4663cc) CGI 320kW; 435 bhp.